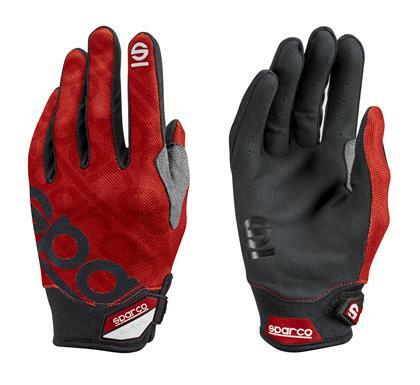 The backs of Meca-3 gloves are made from elasticised, printed, scuff resistant fabric. The palms are in synthetic, scuff resistant hide and there are reinforcements positioned between the thumb and index finger. Pads between the fingers provide better breathing. Velcro belt for tighter fitting.